Varalaxmi will be seen playing a brief role, however, it is being said that her character would be of great importance to the narrative of the story. Actor Vijay will be teaming up again with filmmaker A.R.Murugadoss for the third time after having previously worked on Thuppakki and Kaththi. The film is being referred to as Thalapathy 62 and also stars Keerthy Suresh as the leading lady. The shooting of the film is currently under progress in Chennai at various locations, and photos/videos of Vijay from the shooting spots have been going viral on social media. Besides Vijay and Keerthy Suresh, the makers are yet to announce the rest of the cast of the film, which is expected to revealed soon. And today, the makers made an announcement about the cast of the film making it more exciting for Tamil move-buffs. Actor Varalaxmi Sarathkumar has been signed on to play an important role in the film and will be her first time association with Vijay in her career. Varalaxmi will be seen playing a brief role, however, it is being said that her character would be of great importance to the narrative of the story. And today also being Varalaxmi Sarathkumar’s birthday, this news comes as a gift to the actor making it more special one. Yes it’s the best birthday gift I can ask for.. it’s official I’m joining the cast of #thalapathy62… sooperrrr excited to be working with @actorvijay sir and @ARMurugadoss sir.. looking forward to it..!! Varalaxmi was last seen in the Tamil movie Sathya which was the remake of Telugu hit Kshanam. The film was well received by the audiences and Varalaxmi was much appreciated for her performance in the film as ACP Anuya. Varalaxmi was also seen in the Malayalam film Masterpiece alongside Megastar Mammootty, her third film in Malayalam after Kasaba and Kaattu. Besides Thalapathy 62, Varalaxmi Sarathkumar has numerous films in her kitty which includes Sandakozhi 2, Echcharikkai, Kanni Raasi, Shakthi, Mr. Chandramouli, Ammayi and Madha Gaja Raja. Varalaxmi will also be playing an important role in Dhanush’s Maari 2 which is currently being shot in Chennai. 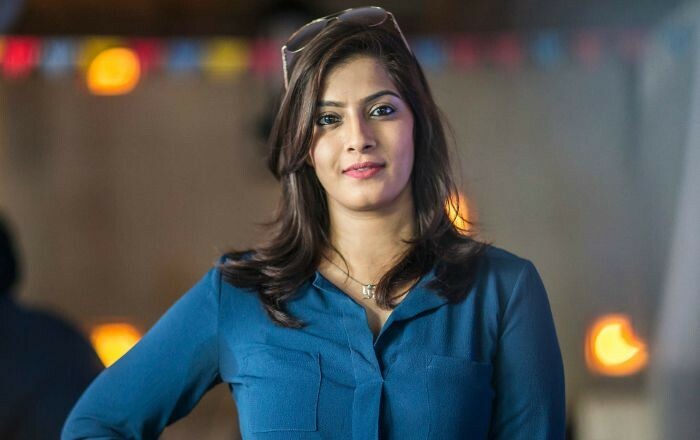 It was being reported that Varalaxmi will be seen playing a negative role in Maari 2, however, the actress later clarified that she would be playing a powerful role and not the antagonist in the film.